Nation, I watch a whole lot of The Colbert Report, and though I adore Stephen’s brand of satire, I enjoy his author interviews more than anything else about the show. 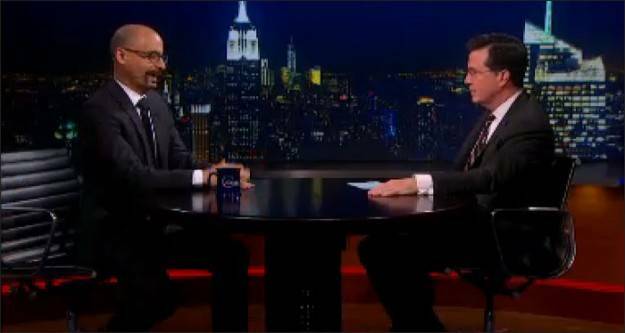 I’d bet that Colbert offers more coverage to authors than maybe any other member of the mainstream television media (his closest competition is probably Charlie Rose or his Comedy Central mate Jon Stewart). It’s a bummer that authors (especially authors of fiction) don’t get more screen time because, as you’ll see, many of them give excellent interviews. I’ve limited this six-pack to fiction writers because, frankly, the prospect of winnowing down all the non-fiction authors Colbert has interviewed felt a touch too Herculean. Enjoy. 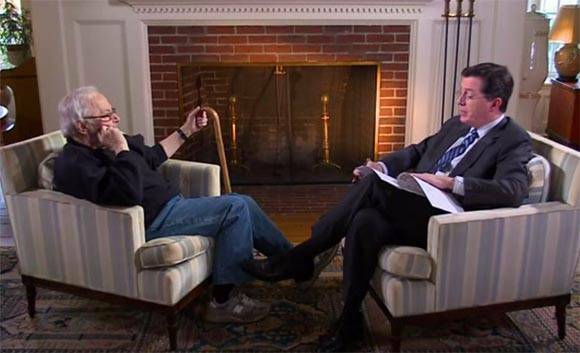 Maurice Sendak – Stephen seeks advice from a master on writing his children’s book, I Am a Pole (And So Can You)! 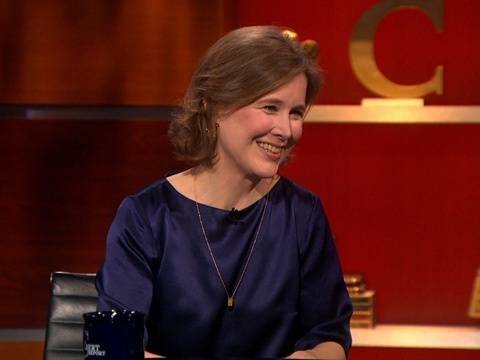 Ann Patchett – Bel Canto and State of Wonder author Ann Patchett talks with Stephen about her support of independent bookstores, including her shop, Parnassus Books in Nashville. Junot Diaz – MacArthur “Genius” Grant recipient (as he’s legally obligated to be known for the rest of his life) Junot Diaz talks about his role in Freedom University, which serves undocumented students in Georgia. 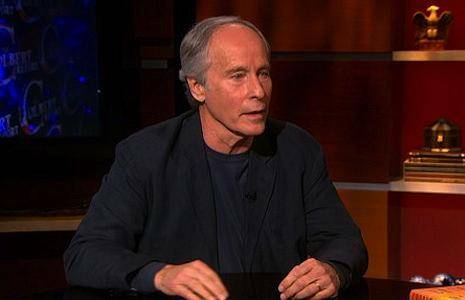 Richard Ford – The PEN/Faulkner Award and Pulitzer Prize winning novelist discusses his book Canada and the reasons that good reviews make him just as angry as bad ones. 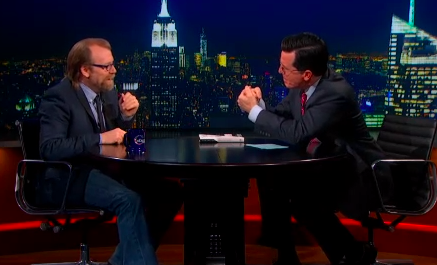 George Saunders – In maybe the most analogy-filled six minutes ever broadcast on television, Tenth of December author George Saunders offers Stephen some insight into the powerful pull of a good short story. 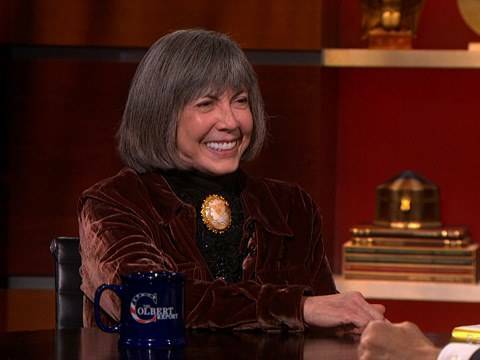 Anne Rice – Best-selling novelist Anne Rice discusses her book, The Wolf Gift, and ponders whether or not the current trends in vampire fiction have perverted the genre. Hope you enjoyed them, nation!